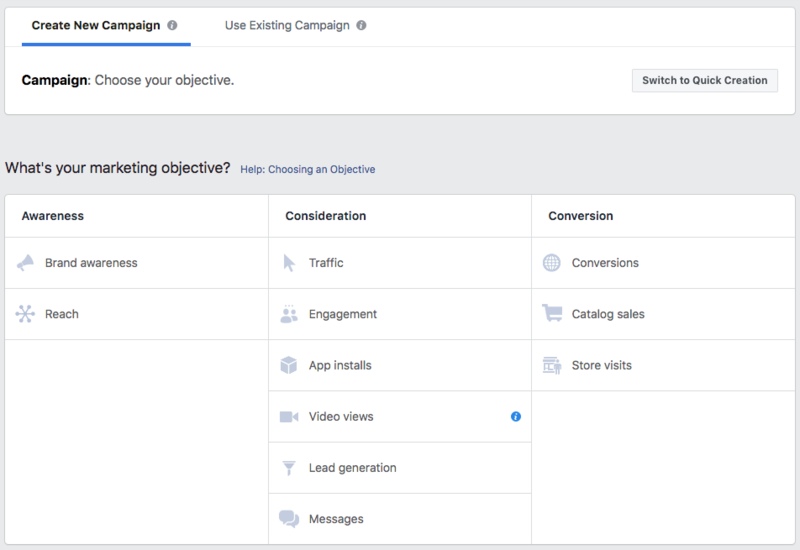 In this guide, we’ll go through key terms that you’ll see in Facebook ads as well as strategies on how to optimize for your budget. Facebook ads can benefit any business size. There are a range of targeting options, and the ROI for any ad is easily calculated. Additionally, your ad budget is adjustable, so your maximum will be honored and can be changed whenever you want. The biggest mistake any business that gets started into Facebook ads makes is mistargeting their audience. However, you don’t need to feel intimidated by all the options available. 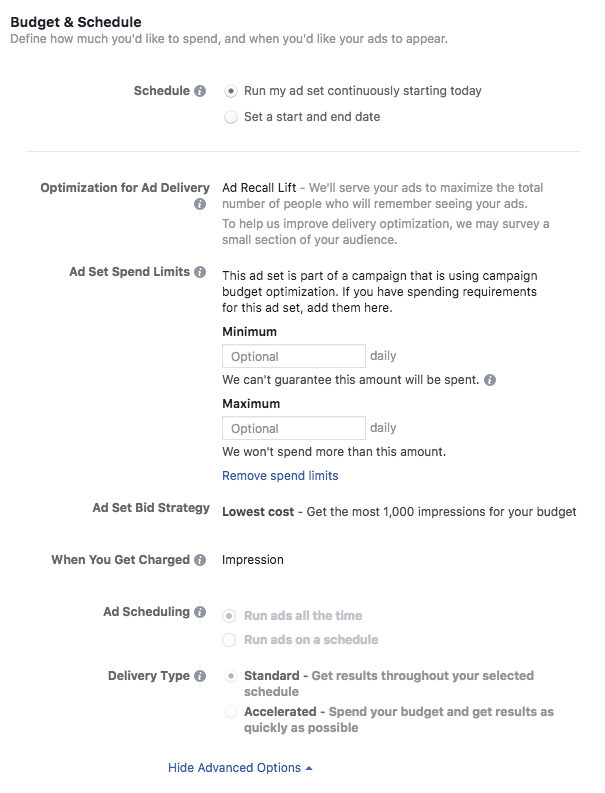 Read on to learn more about optimizing your Facebook advertising costs and learn how to get the most out of the platform. Facebook advertising has its own lexicon and it’s best to become familiar with these terms before you embark on your campaign adventures. You will only pay for your campaign goal but it’s possible that an ad can be interacted with in other ways. For example, boosting a post for engagement still creates a subtle Like button that users can click. You’ll only get charged for the post engagement. Even if your campaign goal isn’t to charge for impressions, you can still see what the average cost per 1000 impressions is. Cost Per Click (CPC): If your campaign is set to charge for clicks (users have to click on an ad), then the CPC will be your metric. The average is $1.72 CPC. Cost Per Mille (CPM): Cost per 1000 impressions. This is most often measured for brand awareness. Relevance Score: Applicable only to ads, this estimated metric is on a scale of 1 to 10. It’s only shown after your ad has received more than 500 impressions and is based on how your audience is responding to the ad. Frequency: An estimation of how often a user sees your ad. This number is calculated by the total impressions divided by reach (total unique users). High numbers may indicate ad fatigue. There are quite a few factors that affect the overall advertising cost on Facebook. When you’re setting up a budget, keep these major factors in mind. Other factors that may affect cost include your country, audience age ranges, gender and ad placement. The industry that you’re in can affect costs. A crafts business targeting hobbyists may have a lower advertising cost than an obscure commercial agriculture tool. 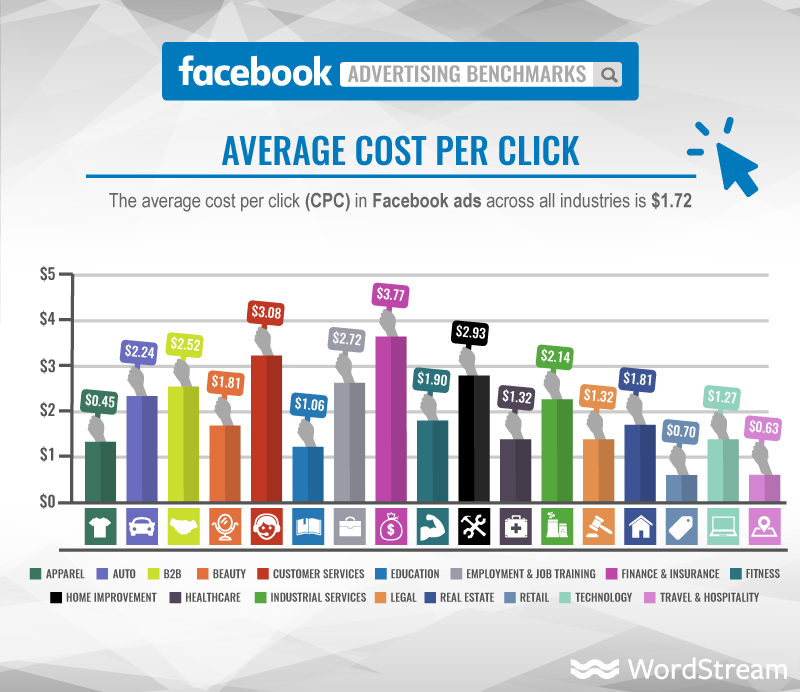 WordStream found an average of $1.72 CPC across all industries. But within the industries surveyed, there’s a range from a low of $0.45 CPC in apparel to a high of $3.77 CPC in finance and insurance. When you advertise or run your campaign on Facebook has a great impact on your costs. When Q4 and the holiday season comes around, you’ll find yourself competing with many more businesses, which will increase your costs. If you’re working on an annual budget, keep this increase in mind. Your campaign objectives matter. An app install often costs more than a post engagement because it requires more buy-in from the user. When looking at the CPM metric, Statista found that product catalog sales cost the highest at $4.77 CPM compared to the lowest at $0.48 CPM with the brand awareness objective. Consideration: This spans several types. It includes Traffic, Engagement, App Installs, Video Views, Lead Generation and Messages. You’ll pay in CPA. This type of objective is geared for customers who are already somewhat familiar with your product and would like to know more. You can also set it up for new customers but keep in mind that you’re asking them to take some sort of action on the ad. At the beginning of any budget setting session, outline your goals for a specific campaign. Do you want to increase your Fan count or do you want to increase your website shop conversions? Knowing which goal to address will lead you to deciding on an objective. As we previously mentioned before, objectives have varied costs. When creating your campaign for the first time, set a lower budget cap so you can see how the ad performs. You can set a maximum daily budget or a lifetime cap. Both types can be adjusted as the campaign runs its course. Next, decide on your bid strategy. Your ad is going to be going up against thousands of other ads at the same time. You can set a bid strategy of lowest cost, which Facebook will determine for you. You’ll receive the most conversions per budget with an optional bid cap. For a target cost, you’ll set an amount and Facebook will bid around that target. This can be costly in the short term but more stable in the long term. Your bid strategy options will vary with the objective you choose. Target cost is only available for lead generation, app installs, conversions or catalog sales. In looking at your Budget & Schedule section, you can expand the advanced options to find more ways to limit your spending. This view will vary based on the objective you choose. If you find that you’re paying more during a certain time range, it may be useful to set a schedule for the ad. This option is only available for lifetime budgets. 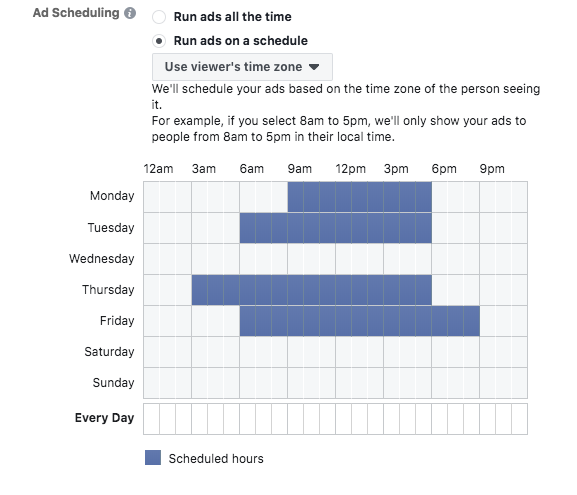 A schedule is best set for ads that are time restricted. For example, advertising for a happy hour won’t be as successful at 3 am as at 1 pm when customers are making decisions for their evening plans. Finally, determine your ad copy and creative. You may not have to pay Facebook for this but developing your own ad copy and creative costs time and money on your end. Get inspired by ads from other businesses. If you’ve put in the effort to develop ads, optimize the images and edit the placement. 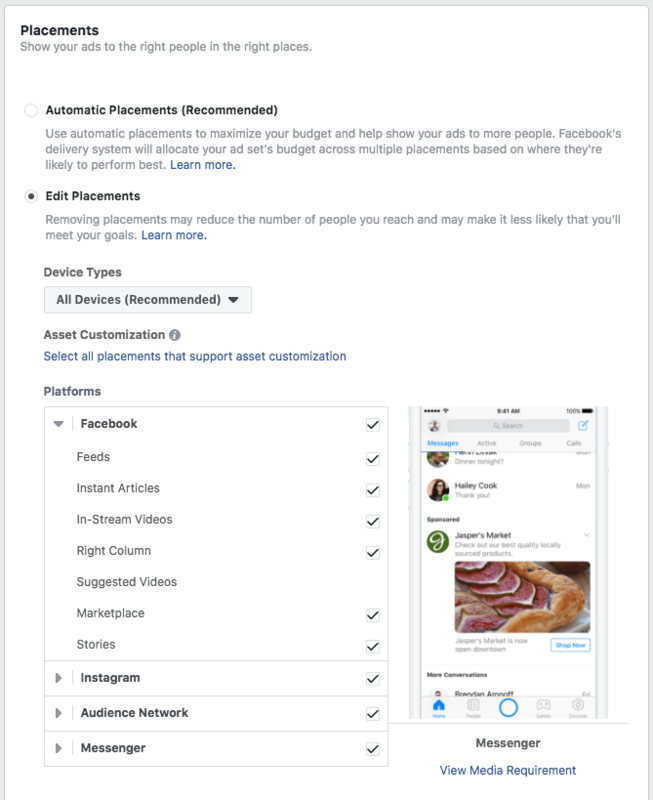 Your ad won’t be universally successful across all of Facebook’s advertising network so you shouldn’t worry about making one-size-fits-all media. Getting started in Facebook ads is a game of trial and error. 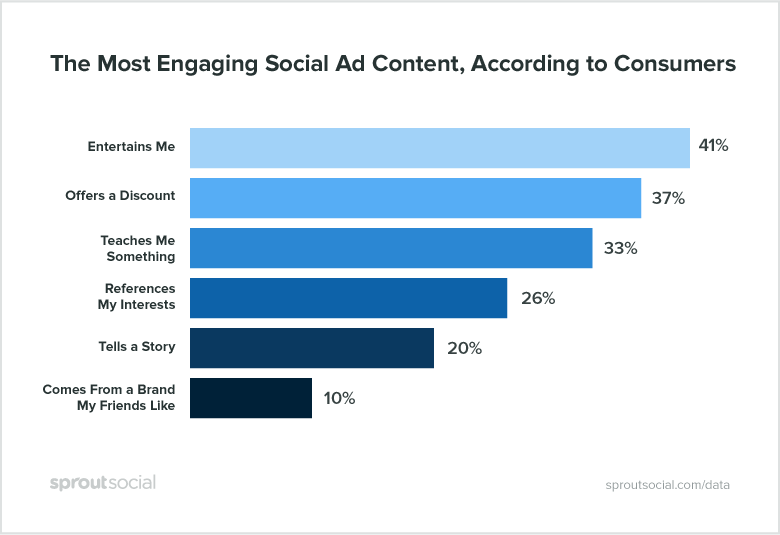 Your company may have more successful ads on Instagram Stories than on the Facebook Newsfeed. Or, your audience might be more receptive to a video ad than a carousel ad. But some things are universal when it comes to lowering costs. Your audience is one of the most important parts of your Facebook ad. An undefined wide audience will not be as receptive to your ad as a well-targeted one. The more segmented your audience is, the more success you’ll have in figuring out how they respond to your ads. You can access your saved audiences in the Audiences tab of Ads Manager. Target audience: Found while you’re creating your ad campaign, you can add demographic restrictions to your audience. You also have an option to save and name this audience. Custom audience: Create and save an audience that is made of past customers or website visitors. The website visitor audience requires a Facebook Pixel and is most successful in retargeting campaigns. Lookalike audience: Taking your existing audiences, Facebook will find people that are similar to the audience you selected. This is a great way of expanding your audience types. In one campaign, you can have several ad sets. For each variation, you can review how much budget to distribute. This budget management is best if you want to serve the same ad to different audiences but at a variable budget. Having several, variable audiences gives you more options on who to target. It also cuts down on ad fatigue for your fans. 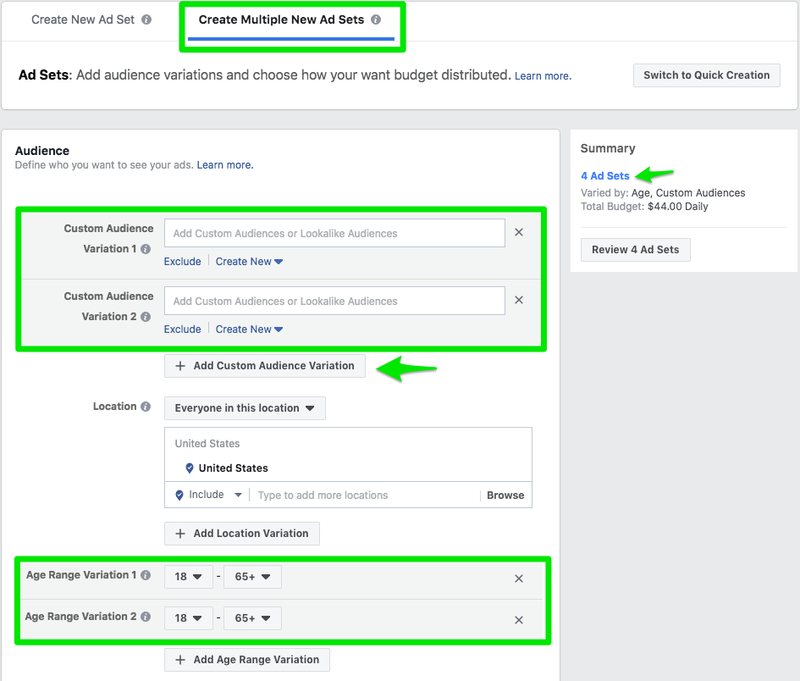 Use Facebook’s Audience Overlap tool to determine if your audiences have too much overlap in your ads. You can access this in the Audiences section of your Ads Manager. Select any of the saved audiences to compare them. This is most helpful when you’re running multiple ads at the same time and don’t want your fans to get tired of seeing the same video over and over again. Learn more on how to set up ad audience targeting in our blog post. To find out what works best for you, use the A/B feature. 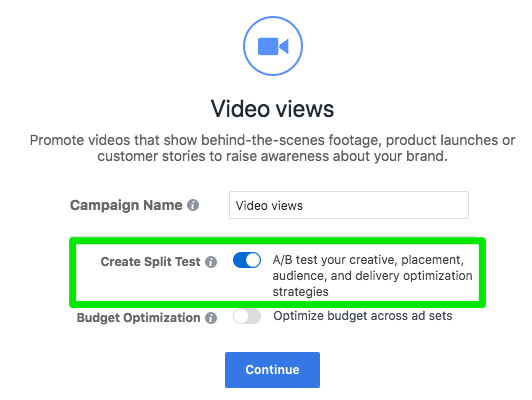 To reach it, select a campaign objective and create a split test. This is a great way to get your feet wet in advertising without spending too much money. Facebook will automatically A/B test your ads for you based on creative, delivery optimization, audience and placement. When you’re setting it up, you’ll have the ability to set your budget, the split (even or weighted), the schedule and the duration. If you are unsure on which audience or placement to use with your new ad, an A/B split will help decide this and cut down on your future spending. Once the test is complete, Facebook will email you with the results. There’s also an option to end the test early if a winner is determined before the duration is reached. Facebook is a visual-first platform for advertising. Images and videos work well when browsing through your Newsfeed. Users tend to see creative media first and then look at the associated copy. Use this to your advantage by improving your media and optimizing it for the placement you want. If you choose a single image format for your ad, you have the option to upload up to six images. Facebook will then test the images for you in a form of A/B testing. Each image becomes its own ad and you’ll be able to see how each image performs. With multiple images, the budget will adjust itself to favor the best-performing one. Facebook advertising is daunting for beginners. Even as you become familiar with the product, you’ll find new features being released every month. There are hundreds of ways to target and change your ad. We recommend focusing on a single objective and honing your audience and creative to see if it’s the right combination for you. 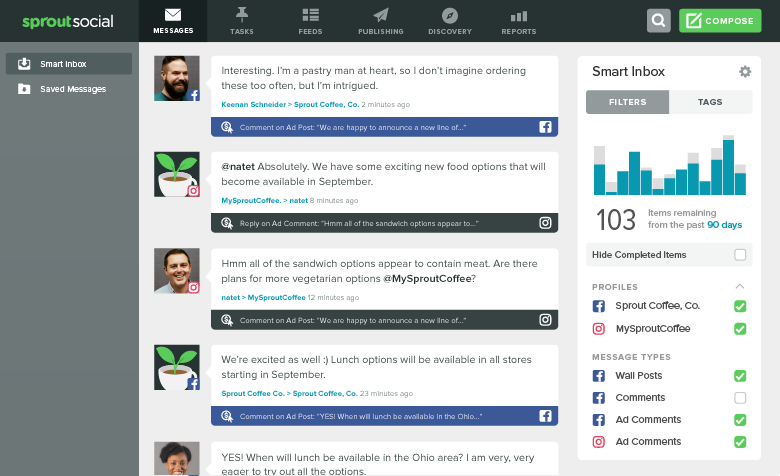 As you progress, track your campaigns in Ads Manager and respond to comments in a tool like Sprout Social. With this method, you won’t need to divide up your social team’s attention in responding to comments made on your ads versus regular comments. 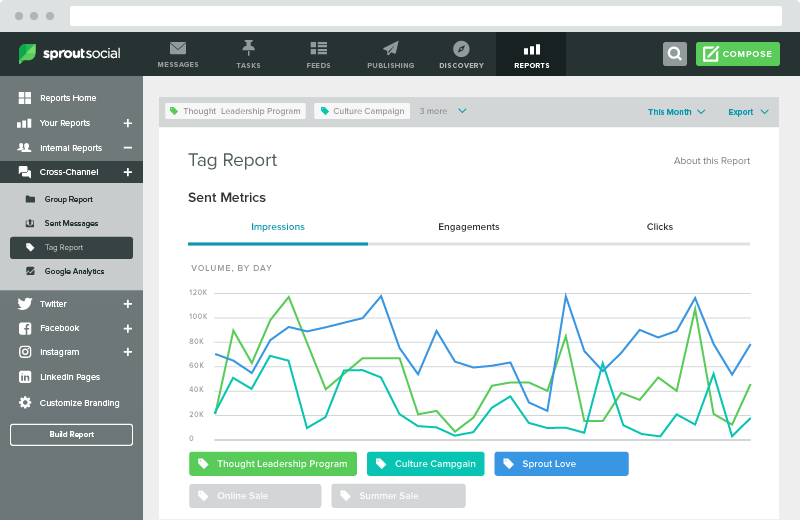 For performance, you can track campaigns with the Tag Report. This can include your social ads right alongside any hashtag campaigns. In short, don’t be afraid to experiment with your Facebook ads. There’s no harm in A/B testing, creating new audiences or restricting your budget. You’ll be able to limit what you pay and analyze the results to work towards optimizing your ROI. In this guide, we’ve gone over basic Facebook advertising definitions, major factors that affect cost, how to start setting up a Facebook ad budget and where you can look to lower your costs. What are you ad budget saving tips? Tweet us at @SproutSocial or share your wisdom in the comments below.